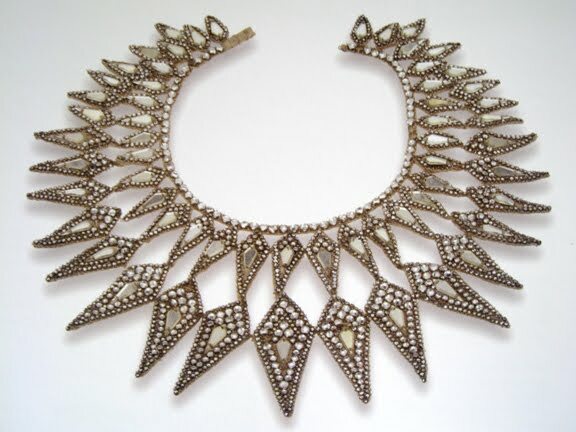 Collarettes by Lanvin, embroidery and cut crystals, France ca. 1930, 1928. 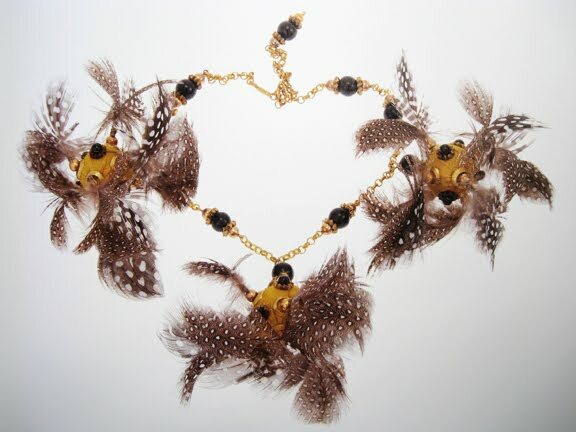 Images: Costume Jewelry for Haute Couture by Florence Muller. I noticed these vintage costume necklaces while perusing the pages of Costume Jewelry for Haute Couture by Florence Muller, Edited by Patrick Sigal. This book surveys jewelry pieces made mostly in France specifically for couture collections. Sadly, most of the costume jewelry industry in France is no longer in business. Each generation 'discovers' new looks. 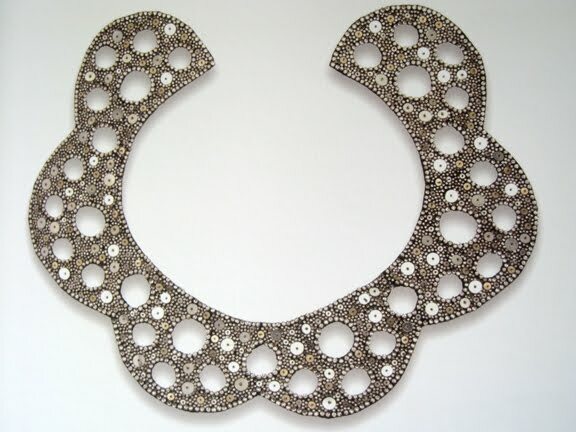 These striking examples remind me of necklaces currently found in stores like Anthropologie or J. Crew. Fashion is indeed fickle. 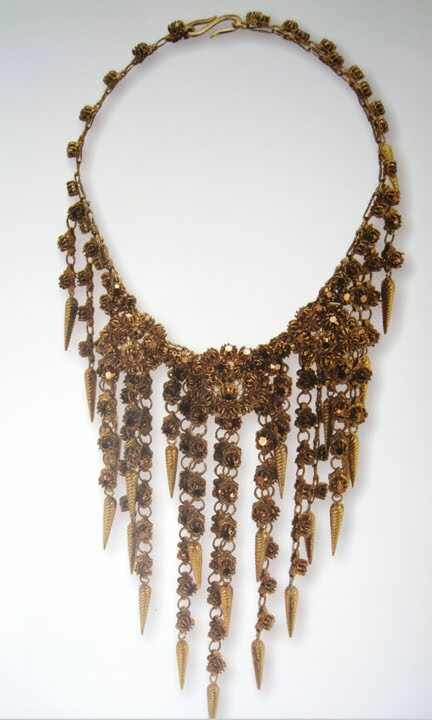 Necklace by Maison Gripoix, for Chanel. Glass, enamel, metal. France, ca. 1930. Classic Chanel combination of chain, charms and color. 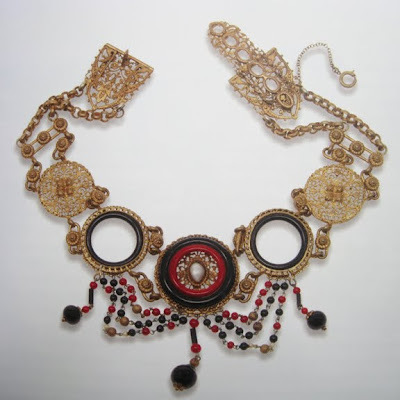 All images are from Costume Jewelry for Haute Couture by Florence Muller.